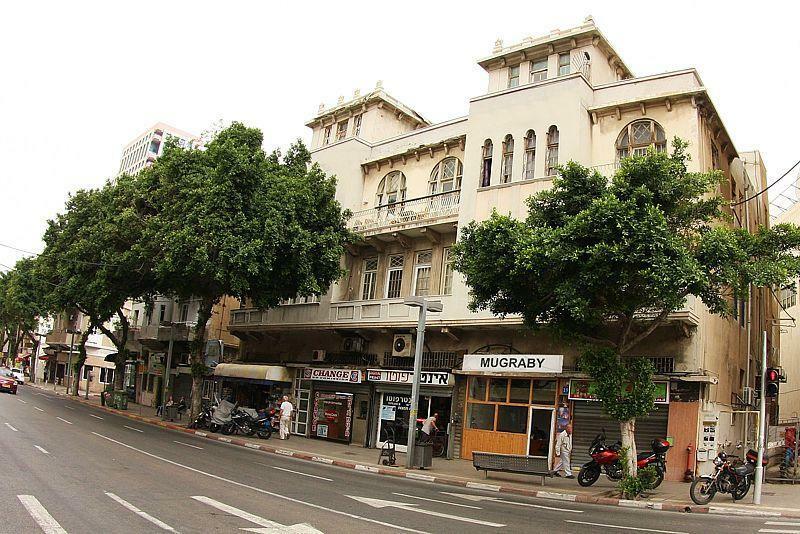 Mugraby Hostel Tel aviv, Hostel and Short-term private rooms in the heart of Tel Aviv City, Mugraby Hostel is small and friendly, located in the heart of Tel Aviv on Allenby 19 St. and one minute walk from the Mediterranean Sea Beach. If you go to Tel Aviv and you like to be in the city center it is obvious that you are looking for action, nightlife, restaurants and clubs, those are all nearby, we are located in the Center and the heart of Telaviv. 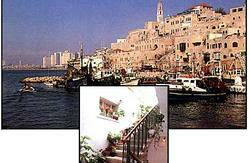 The Mediterranean Sea and the Beach are (1 minute walk), The whole area has a Young and Spirited atmosphere. Carmel Market , is where you can find all the amazing, tasty fruit and vegetables that are so special to Israel. Sheinkin street the 'Soho' of Tel aviv, Dizingof Center, Jaffa, Telaviv Museums, Night Life, Restaurants, Etc. The Friendly Hostel's Staff will welcome you at the reception. 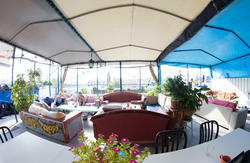 See you soon at The Mugraby Hostel in Tel aviv. Reception Hours (Sun-Thurs: 9:00am - 9:00pm - Friday: 9:00am - 3:00pm), Closed on national holidays, Note: If you have late arrival, please let us know your arrival time so we can arrange your check in with the house/night manger. Please make sure to read and to understand our reservation and cancellation policy. From Ben Gurion Airport : Take the train to the first train station in Tel Aviv, HaHagana, cross the street and take bus no. 16 or 104 or 204 to the corner of Allenby and Ben Yehuda st. More info about trains schedule visit: Israel Railways Website, Taxi service is also available at the Airport 24 Hours, make sure to ask the taxi driver to put on the meter. From Tel-Aviv Central Bus Station: Bus or Sherut Taxi Service Number 4 or Number 16, Bus No.4 get off at the first stop on Ben-Yehuda 1 St, and Bus Number 16 get of at Allenby 19 St.
From Tel-Aviv Central Railway station (Savedor Merkaz): Take BusNumber 10 and get off at Allenby 19 St.